How To Make Money By Teaching English Online? 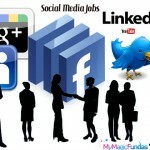 You might not have any special skills, but still you can earn money online. 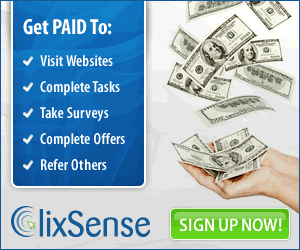 Yes, the internet has opened so many ways to earn extra income at the comfort of your home. I’ve already been discussed several online money making ways, and now this post is for native English speakers. Do you have something to reveal the fact that you’re good in English? Do you know how to teach speaking English? Then you can make money by teaching English online. I’ve decided to dig deeply this matter and thus let me start with the basics. You should be proficient with the use of English and flawless grammar. This is the basic requirement to make money online by teaching English. If you wish to pursue your English teaching career to other language speakers or to make your English teaching so much better, you may consider getting any of the below-qualified certificates to qualify as an English teacher. TEFL (Teach English as a Foreign Language) – It is the most widely recognizable qualification to teach non-native English speakers (English is not their primary language). TESL (Teach English as a Second Language) – It is a highly regarded qualification to teach English to native speakers of the overseas language who are presently living in the native English country. TESOL (Teaching English to Speakers of Other Language) – Even though TESOL is not an extensively renowned qualification, it covers a broader range of topics either to teach English overseas or to native English speakers. CELTA – To get exciting English language teaching opportunities, you may get CELTA (Cambridge Certificate in Teaching English to Speakers of Other Language) English teaching qualification which has international recognition. If you have little or no previous experience in teaching English online, you may opt this course. For this, you must be 20-years-old with a degree/equivalent. This certification program is available worldwide. The above courses have a combination of theory and practice that explains about vocabulary, grammar, teaching skill and much more. After getting a good, accredited course, you can start looking for opportunities to teach English online. There are different ways to make income with English coaching but before discussing the methods, I would like to introduce some useful tools to earn as an online English teacher. 1. Make sure to have a PC with good internet connection, Webcam and Headphones. 2. You may use video conferencing software like Skype to interact and share files with the students in real-time. 3. To write/draw, use an online whiteboard application like IDroo. It can even be synced with Skype. 4. Online storage websites like Dropbox and Google Drive (cloud storage) can be used to store and share your English training materials. 5. Giving comfortable access to your tutoring materials would establish your online brand as a tutor. Thus, you can utilize Camtasia and YouTube channels. 6. EduCanon would let you create video lessons for your students using YouTube, Vimeo, TeacherTube video content, etc. 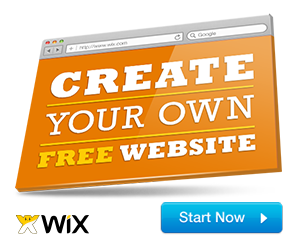 It is a free, flexible tool suitable for all types of browsers. 7. If you’re looking for an interactive medium or not interested in creating a new website for your private tuition classes, then I would recommend WizIQ for you. It’s an amazing free online English teaching platform where you can upload your English exercises and invite people to attend your classes. You can set up time cost and will get paid through PayPal. 8. Are you a busy tutor? If yes, you may visit Off2class to get handy course material to teach your students. It is an excellent website for online teaching and conversation classes where you have the ability to earn the independent income. 9. To enhance your teaching experience, it would be upright to use the business management software like Teachworks to schedule, manage and automate your tutoring sessions. You may try this user-friendly software for free. 10. Dictation is a useful teaching tool that converts your voice into text. If you want to narrate essays, write long documents or to send the email to your learners, this exciting tool can be used. It has a distinctive speech recognition feature that uses your microphone to transform your voice into text. Looking beyond the students is a creative approach to getting English teaching jobs online. Yes, teenagers and professionals from non-native English speaking countries are willing to learn the English language. Countries like China, South Korea, Japan, Russia, UAE, Saudi Arabia and Thailand are desperately looking for English teachers to improve spoken English. So, you may target them through search so as to offer your English coaching classes through video conferencing like Skype or Google Hangouts. You can teach English through websites (I’ve attached the details of some sites at the end of the post) which has been specially built to educate English knowledge to the right people. You can make money online as a private English tutor by creating your own website/blog and upload pre-recorded sessions of English for beginners, English grammar tutorial etc. But you have to market your tutoring service through newspapers, social networks or write tutorials and give for free to the people who seek this service. It would show your intellectuality to gain more populace in your initial tutoring period. You may also register with an online marketplace like My Private Tutor to let the potential students to reach you. Making use of freelancing websites like ODesk and Elance to register you as an English teacher is one of the best methods of teaching English online. Craft an eBook by sharing your English knowledge (Easy English materials with well-explained grammar lessons) and sell this digital product online to make some dough with it. It is an award winning language training service which offers classes between native speaking language tutors and learners through Skype. Its registered office is in UK. iTalki has the best language teachers and thus providing a convenient way to learn a foreign language. You could build a brand for your English teaching profession in iTalki with more safety and security features. This site offers the easiest way to become fluent in English. If you’re interested in tech with Colingo, you may contact them. This website is made up of language enthusiasts that offer competitive salary for you. You may check out their open positions. It is a revolutionary online school which helps the students to learn English through virtual classrooms. They are seeking experienced teachers and you can fix own hours to teach English. It has a team of people to help English learners and looking for great teachers. If you’re a native qualified English teacher, you may send your CV and Intro video to them. You can earn money online by coaching a student from other country to speak English in a natural manner. You don’t need to have any experience in teaching English. 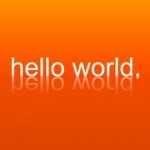 Through this website, you can teach anywhere by provide valuable tutorials to learn English and run own online classes. It is an emerging live on demand one-to-one English speaking learning institution which recruits tutors from all over the world. It is an online teaching website for Japan students. You may register here with teachers video which has to be approved. For the past 3 to 4 years, there has been a big explosion in online earning as the people could work within the comfort and privacy of home. There are some online jobs that pay you high but online tutoring jobs are growing at a rapid rate as students would like to get a cyber education. Besides, online tutoring can be offered at a lower cost than face-to-face tutoring since it is more likely to sharing digital files and interact with the students with innovative online tools. You don’t have to be a licensed teacher to teach English online at some places. But being a licensed English teacher carries a sense of the esteem with it. Besides, you’ll be given more respect and qualified for some best international schools. Just having your degree would not sound good for an English teaching professional. At least, try to get a TEFL certificate to display that you have had some English skill. CELTA is considered as the best English language teaching certificate, and you may consider learning the reputable courses, TEFL/Trinity TESOL/DELTA (Diploma course). With a proper certificate, you’re more likely to get good English teaching jobs with the decent salary. 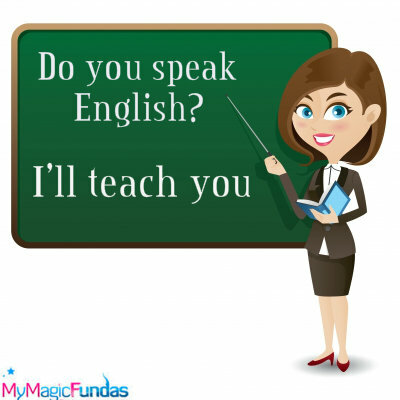 I hope that you’ve gained some knowledge on how to make money teaching English online. What is your opinion about this way of earning money online? Are you wishing to start you career as an English online tutor? Do you know any other website to join and teach English online? You may discuss with me via comment section.